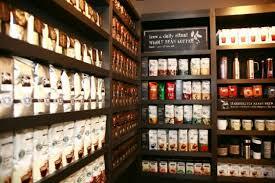 Starbucks Partners for Sustainable Living Employee Group: Over 40 NWEI Courses Offered! Since 2004, Starbucks’s Partners for Sustainable Living employee group has offered over 40 Northwest Earth Institute discussion courses in the Seattle, WA corporate office, most recently completing Menu for the Future. Most of the NWEI courses have been offered as a voluntary lunch hour offering for employees, hosted by the Partners for Sustainable Living group. PSL has some 400 members, most of which have participated in NWEI courses. The PSL Leadership Team has completed at least seven NWEI courses over the years. Approximately 10% of all employees at the Seattle corporate office have gone through at least one NWEI discussion course. One PSL member notes that “the discussion courses from NWEI have always been popular,” and cites an increased sense of community as one of the benefits of participation. Former PSL member and Starbucks employee Tim Nuse says “There were lots of questions from partners about what they could do and how to work for corporate social responsibility. We piloted two Northwest Earth Institute groups and there were 15-20 people in the first discussion groups…Partners for Sustainable Living became a grassroots, employee driven venue for making change.” Thanks to Starbucks employees for creating organizational change through shared learning and shared action, and for using the Northwest Earth Institute resources along the way.